Discover the savannah with this beautiful cheetah backpack, part of the ZSL and Sophie Allport Animals of the Savannah collection. Inspired by the incredible species of the savannah, the backpack has a dark green background, with beautiful illustrations of cheetahs. There are two adjustable padded secure straps for comfort and a carrying handle so that you can hang it up for practicality. Perfect for adventures out, matching accessories are available. 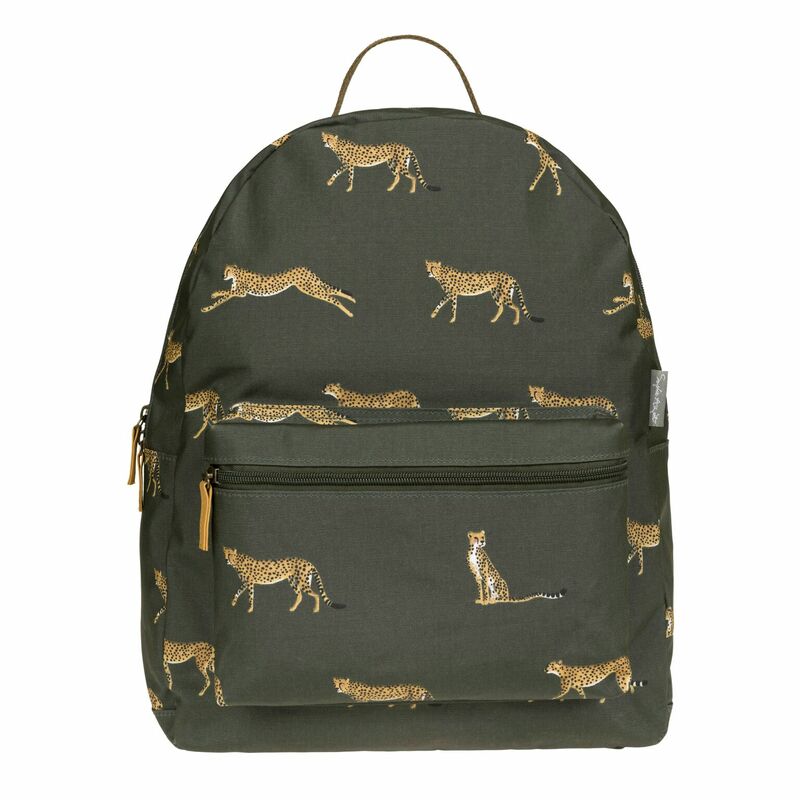 The cheetahs look lovely against the olive green of the backpack. Lots of room for my stuff but I wouldn't put heavy books in this one. I have had lots of positive comments on it and would make a great gift for an animal lover. Bought as a Christmas Present but looks nice in the packaging. Thanks for the prompt service and professional approach.